Libby Thompson, psychologist, coach and Cognitive Behaviour Therapist, also runs a successful coaching and facilitation business based on Phillip Island. Libby is currently the Lead Facilitator for the Gippsland Community Leadership Program. As a past President of our wonderful network, she needs no introduction to many of you but you may not know her amazing story! In the early days Libby started her working life as a receptionist in an engineering business and soon moved onto a number of management roles after retraining as a psychologist. 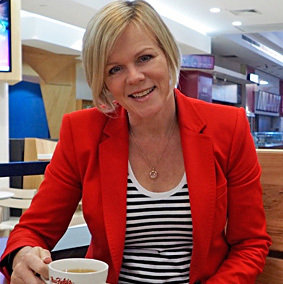 Libby's career includes 9 years of military service, the majority of which was spent serving as a Captain in the Australian Army, working mainly in the area of leadership development, officer training, PTSD (Post Traumatic Stress Disorder) treatment and attending to soldier's mental health more generally. Libby deployed to the Solomon Islands, Timor Leste and has also supported the mission in Afghanistan as part of her service. She has recently transferred into a reservist role with the RAAF where her focus is on pilot selection, leadership development and performance enhancement coaching. We asked Libby to share her extensive leadership experience and her invaluable insight on what makes a successful leader with her much loved SBWN network this October. We hope you will join us for a really inspiring and engaging evening. We meet again at the accommodating and much loved Cottage Restaurant in Inverloch. Previous events at this venue have been extremely successful and this special event, with one of our own, will be no different. 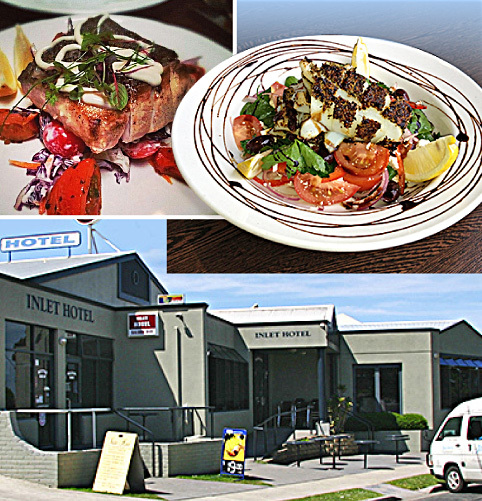 Located in the beautiful seaside town of Inverloch, the Inlet hotel provides great food and excellent service. Once known as the Cottage Restaurant the venue has since been renovated, adding to the original building a Bar and Bistro. Opening its doors in 1997 as The Inlet Hotel & Cottage Restaurant, the hotel has continued to build upon its highly regarded reputation. Above: The Inlet Hotel's Cottage Restaurant in Inverloch will be looking after us again for our October Dinner Event.